Home Writing	Do you think a company should use money to support the arts or protect environment? A company is going to give some money either to support the arts or to protect the environment . Which do you think the company should choose? 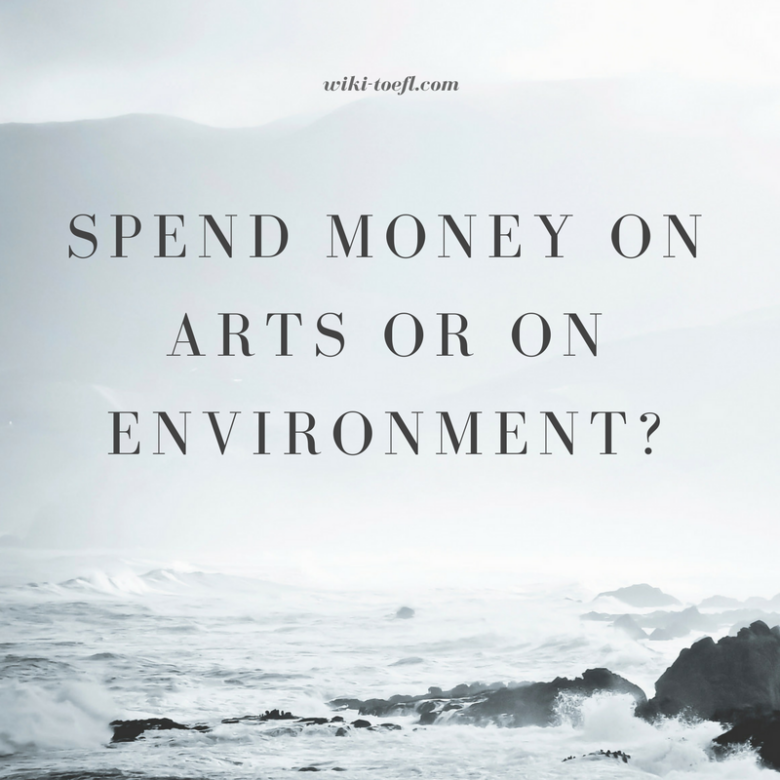 Deciding between supporting the arts and protecting the environment is a difficult choice to make, but I think I would choose protecting the environment. Arts help to maintain our culture and serve as a source of entertainment. However, we need a healthy environment in order to survive so we must protect it. We need to protect the environment now to help prevent health problems, to maintain the ecosystem, and to preserve the Earth for our children. Pollution from factories and cars can cause damage to the environment. Moreover, pollution causes health problems particularly for children and the elderly who have weaker immune systems. We need to ensure that there are controls on the amount of pollution when possible so as to prevent health problems caused by breathing dirty air. We also need to pay attention to the ecosystem. Trees, plant life, and people all depend on each other. An unhealthy environment can have harmful effects on the ecosystem. For example, if a plant dies because of changes to the environment and that plant is food for a animal, that animal won’t have any food. If humans use that animal as a food source, there could be big problems. If we do not respect our environment now, it will continue to get worse and our children will suffer the consequences. They would not have the same quality of air to breathe or natural beauty to admire. That would be sad. Without clean air to breathe, a healthy ecosystem, and a future for our children, the human race would not survive. That’s why protecting our environment is important. If we have a healthy environment, we have healthy children who will be able to participate and appreciate the arts.